Located at the Huntsville Madison County Veterans Memorial. The item selected by the Chapter for submission represents all Warrant Officers. It is two-side, enclosed in acrylic. The RSAWOA Plaque was placed in the 2 ft. x 2 ft Time Capsule and interned on 17 November 2012 during the official ceremony. The Time Capsule will be opened and unsealed on 11 November 2062 by the Ambassador Program surviving members. Side one displays the Warrant Officer Eagle, the symbol of the US Army Warrant Officer Corps from 12 May 1921 until 9 July 2004 (83 years), with the definition of a Warrant Officer. 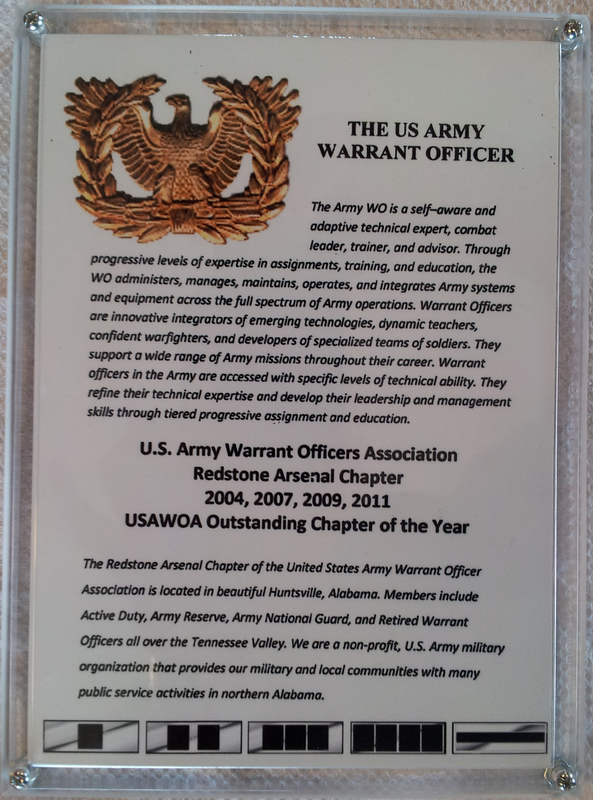 Information on the Redstone Arsenal Chapter and our Purpose Statement. At the bottom are the current (2012) Warrant Officer Ranks; Warrant Officer One (WO1), Chief Warrant Officer Two (CW2), Chief Warrant Officer Three (CW3), Chief Warrant Officer Four (CW4), and Chief Warrant Officer Five (CW5). 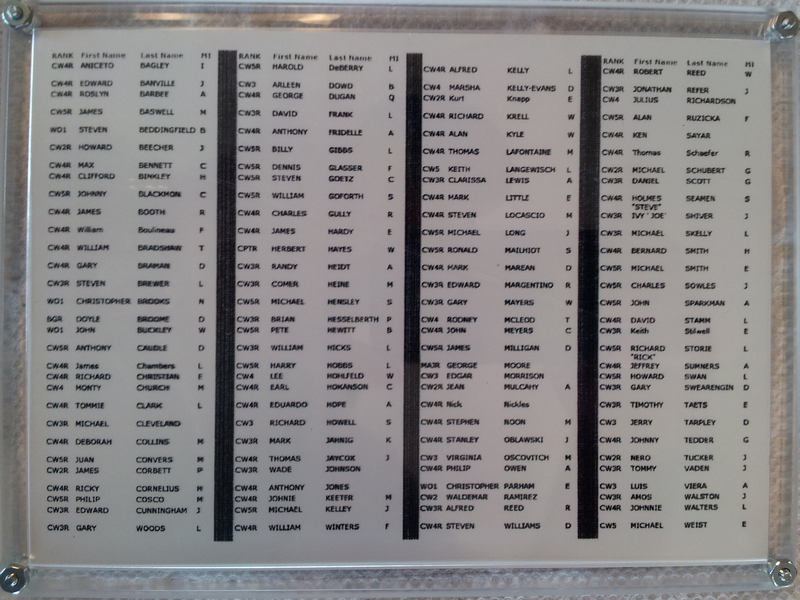 The back contains a USAWOA Roster (August 2012) for the Chapter with all current (120) WOA members.